1: We’d like you to post a comment at the bottom of the Recipes page with a link to your recipe on your blog! 3: Talk about our #kosscookbook campaign on your blog too & help us spread the word! It’s really that easy to get involved and so please do get creative in the kitchen to be in with the chance of winning a very special prize! Our brilliant brand prize giveaway! Family Friendly Recipes – creating a community cookbook! Spread the word – we love to talk! We’ve said it before and we’ll say it again – we love to talk and we love to hear from you! Join us and get talking – take a look at our articles in our Parent Zone and if you can add some top tips, hot picks, parenting advice or recommendations – please do! We want you to get involved in our Kids Zone, share & send us your family recipes to help us build a Kids One Stop community cookbook! Sunshine and showers – summer is on its way! Phew – what a busy week we’ve had here at HQ! So many lovely new brands signing up to Kids One Stop Shop and we’ve lots of lovely new bloggers joining our growing Bloggers Network! We’re looking forward to this May Bank Holiday weekend and to celebrate the sunshine we thought we’d share some of our favourite summery goodies from our site to get you all in the holiday mood! 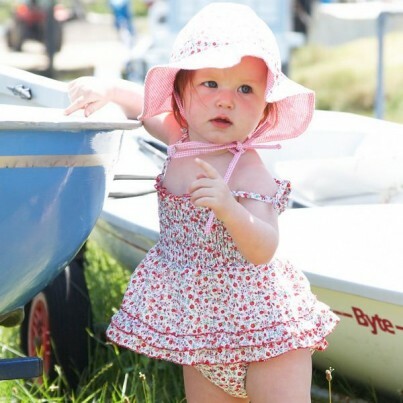 Mitty James are offering a super 10% off their lovely ranges of children’s beach and swimwear; they have cover-ups, hats, swimsuits, romper suits, all in ones and towelling goodies designed to keep your VIPs stylish and safe in the sun – use code MJSBKOSS10 at the checkout! 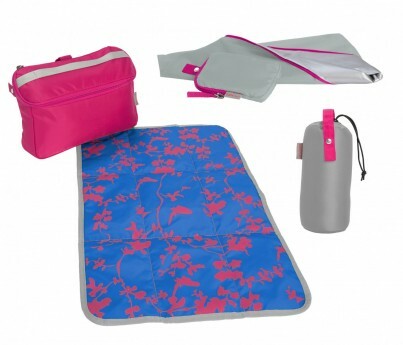 Babymule have deigned a lovely range of innovative and stylish baby changing bags for when you’re out and about with your littlest VIPs. 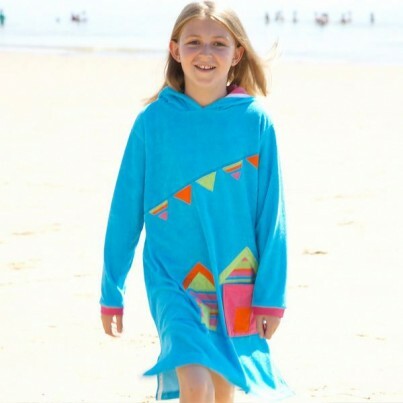 Bright and bold colours and prints that will not look out of place under any beach tent or summer parasol! Grab your Babymule bag, get out and go enjoy the sunshine! 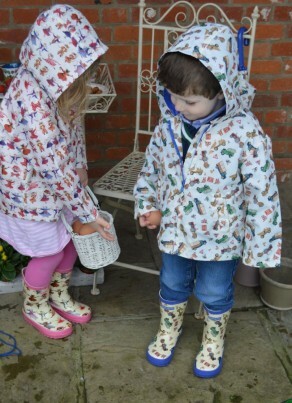 If you are caught short in the spring showers, pop on some truly delightful wet weather gear from Emma Bridgewater… a collection of matching umbrellas, wellingtons, backpacks and rain macs with lovely designs for boys, girls and grown ups too – there’s something to suit everyone who enjoys splashing about in puddles!